Just saying the name 'Somerset' gets the mind thinking of green agricultural landscapes, vast open spaces and time spent in the great outdoors. Whether it's from the pages of a Thomas Hardy novel or the experiences of partying in a pair of wellies at Glastonbury Festival, the county of Somerset is almost always associated with the countryside. Somerset is a camping haven and, from the beach-bearing coast in the east to the wide river valleys of the west, there are heaps of incredible campsites to discover. Arguably the most beautiful city in England, Bath is a grand sweep of Georgian terraces and cobbled streets, packed with museums and galleries, antique shops and markets. Around the compact Somerset city, the countryside folds, with campsites galore for those who know where to look. As always, only the very best make it onto our shortlist. Just south of Weston-super-Mare, the lesser known seaside resort town of Brean has all the seaside fun but on a smaller, quieter scale. Find campsites nearby with our choice pick of the very best places to stay, all chosen by the travel experts at Cool Camping. Epitomised by its famous carnival, reputedly the largest illuminated procession in Europe, the Somerset town of Bridgwater is both a vibrant place in its own right, as well as being one of the main hub towns in the county. 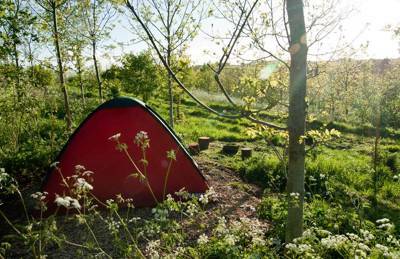 There are plenty of good campsites in the surroundings and, as always, only the very best make our shortlist. Bristol is the place to be right now and for good reason. This artsy, alternative city has something for everyone; rammed with history and culture, but also the growing home for independents and modern boutiques. Around the city, a clutch of campsites dot the countryside – find the best of them with our Cool Camping shortlist. The cheese is now more famous than the town that gave it its name but beautiful Cheddar in Somerset remains a one-of-a-kind destination and worthy of any camping holiday. The surrounding countryside and the Mendip Hills are awash with good campsites, the best of which make it onto our prized Cool Camping shortlist. At the eastern edge of the Mendip Hills, the Somerset town of Frome sits clustered around the banks of the river of the same name. From wild swimming to mountain biking, the area has something for everyone, with plenty of campsites to choose from. Only the very best, however, make it onto our shortlist. Not just famed for its festival, the Somerset village of Glastonbury is renowned in its own right, the home of myths, legends and mystical British culture. Overlooked by Glastonbury Tor, the surrounding countryside, is peppered with excellent campsites, the best of which can be found on this carefully selected shortlist. The Somerset town of Ileminster is an attractive old town, popular with visitors to the South West. Around it, the local countryside is peppered with good campsites, from family-friendly escapes to tiny, riverside sites, and there are glamping options too. Shepton Mallet lies just south of the Mendip Hills and acts as a convenient centre point for accessing the best of Somerset. 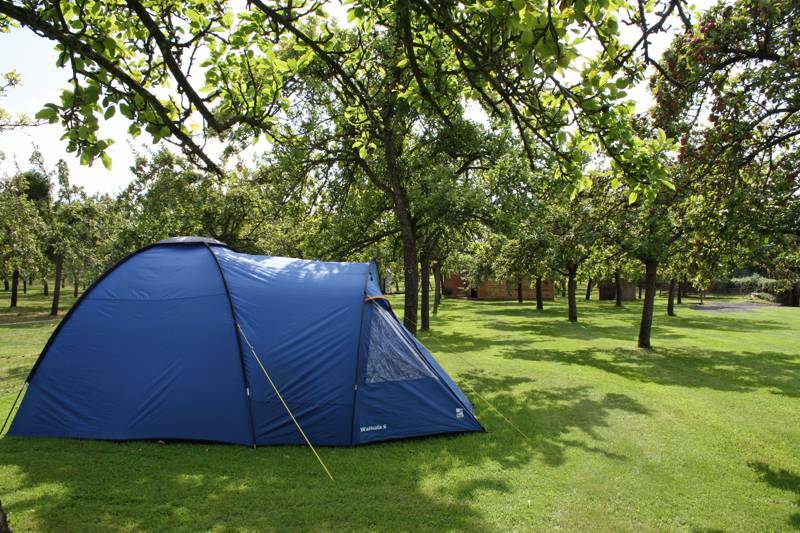 In town you'll find all the amenities you need for a camping holiday, while, in the countryside beyond, there's a peppering of good campsites with the likes of Cheddar Gorge, Wookey Hole, Wells and Glastonbury nearby. Taunton is one of the most beautiful towns in Somerset, occupying a prized position for campers: To the south are the Blackdown Hills, to the north are the Quantocks and to the east the cattle-grazed lowlands of the Somerset Levels. All this leads to a plethora of good local campsites, with the best making it into our collection. England's smallest city, Wells is a must-visit for campers pitching up in this part of the Somerset. Famed for it's magnificent, Gothic cathedral and the moated Bishop's Palace, the town packs plenty of history, while, surrounding it, the countryside, from Cheddar Gorge to the Somerset Levels, is equally thrilling to explore. With its promenade, seaside hotels and Grand Peir, Wester-super-Mare (or just 'Western') in Somerset has a bucket-and-spade atmosphere but still very much keeps up with the times. Green spaces, National Trust sites and the nearby Mendip Hills, provide more outdoor fun for campers, with plenty of good campsites nearby. Described by the Welsh Celts and the Saxons as the Land of the Summer People, Somerset feels almost deliberately designed for good camping. At the heart of the West Country, Somerset is renowned for its beach-lined coast, epic English countryside and farming landscape. So, it’s no surprise that farm campsites and lush meadow pitches are in abundance here. Somerset campsites are, without doubt, some of the best in the UK and it's long been a favourite spot for the Cool Camping team to go exploring. There’s plenty of choice, too, with campervan and caravan camping sites, as well as more stripped-back traditional campsites where you can pitch tents in a secluded glade or private pasture. At the other end of the scale, there are great glamping sites in Somerset with everything from bell tents to shepherd’s huts available. 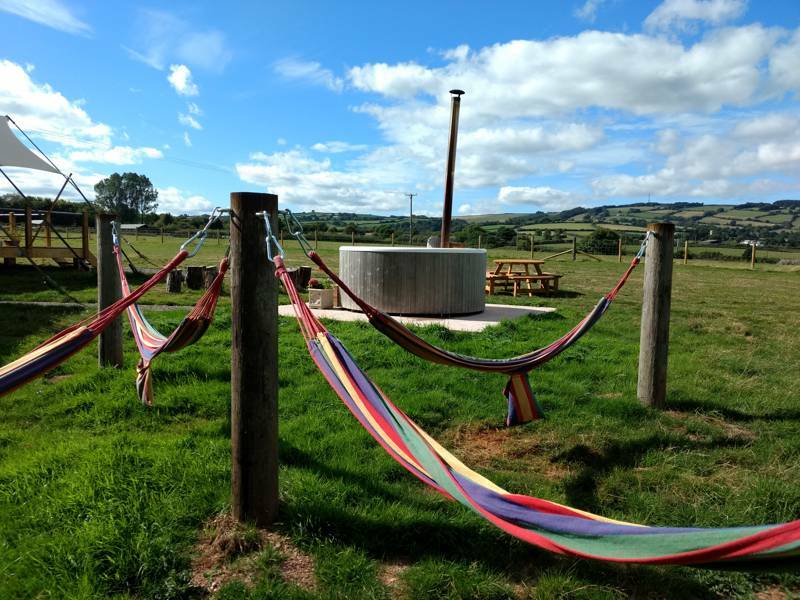 Browse our collection of the very best glamping and camping sites in Somerset below and book your next camping adventure online today. There’s no denying that Somerset is used to welcoming campers – just think of the canvas city that sets up on Worthy Farm for the (almost) annual affair of Glastonbury Festival. But it’s not just the festival that brings campers flocking to the south west. Like nearby Devon, Dorset and Cornwall, Somerset’s rural landscapes and mild southern climate have long made it a favourite with campers and there are plenty of traditional back-to-basics tent campsites dotted all over the region. While there are lots of caravan sites and some fabulous glamping sites in Somerset (more of those later), here at Cool Camping we have a soft spot for classic campsites that offer something a little bit special; and there are lots of those within our collection. 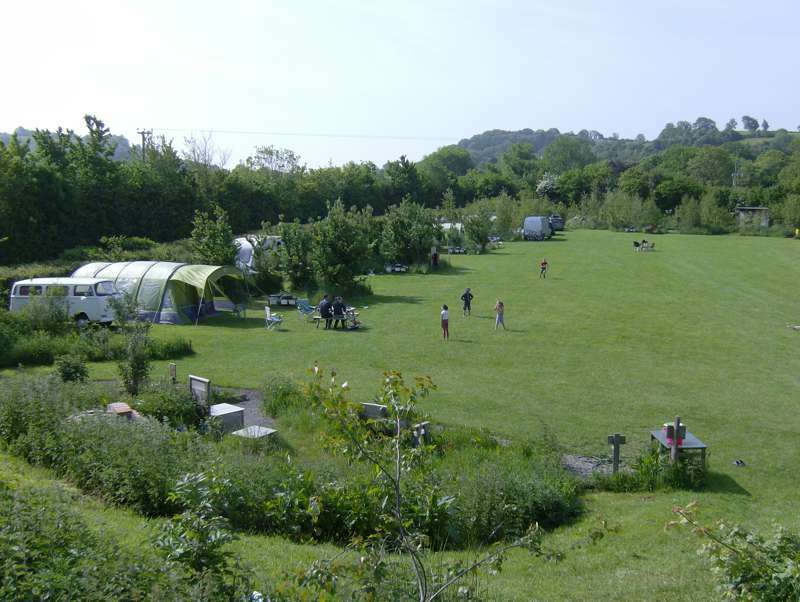 There are farmer’s fields which are opened up to campers for the summer and there are woodland campsites in the valleys between Somerset’s famous hills. You can find pitches with electric hook-up on sites with well thought-out facilities and pitches which are little more than a patch of grass in a special location. If you fancy a bit more luxury though, Somerset has got it covered with a great selection of places to go glamping too. The county has joined the glamping revolution with traditional campsites adding pre-erected tents to their sites and glamping-only sites opening their gates to those who prefer not to pitch. 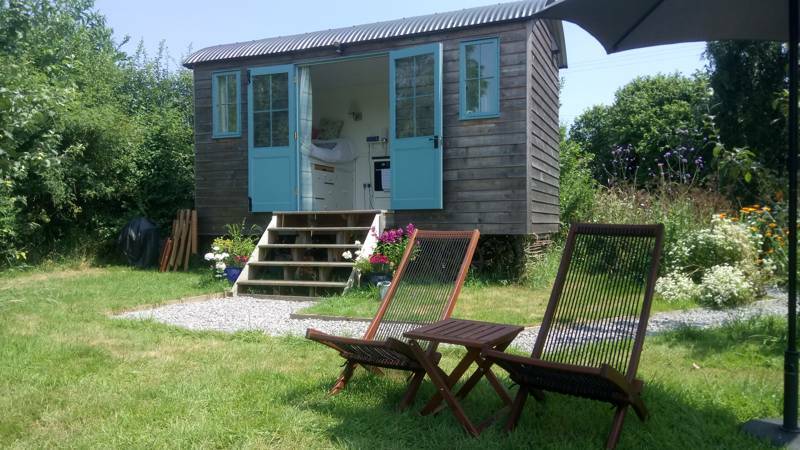 There are safari tents and shepherd’s huts in Somerset countryside as well as cabins and caravans close to the coast, all of which aim to offer comfort in the great outdoors. Choose to go glamping and you can leave the tent behind and stay in a Somerset bell tent, yurt, tipi, Airstream caravan or treehouse. The list of glamping accommodation continues to grow but all of them provide you with the chance to take it a little easier than a traditional camping holiday. You won’t need to set up your tent for starters and then, depending on the level of luxury you go for, you may be able to settle in to the bubbling waters of a hot tub or warm yourself by the log-burning stove. The Cool Camping selection showcases some of the best glamping sites in Somerset and to find your perfect place you can use our “Refine Search” filter to pinpoint what features are important to you. Whether it’s camping or glamping you go for, the wealth of family-friendly activities in Somerset make it a great place to take the kids on holiday. The chance to paddle in the sea, build sandcastles on the beach, visit farms and discover the underground world at Wookey Hole are all great experiences for kids. Throw camping or glamping in to the mix and it’ll be holiday heaven. Children love the freedom of camping with the chance to run around outdoors, make new friends on site and toast marshmallows on the campfire. And all that fresh air can make them pretty sleepy which makes for relaxing adults-only evenings and a great night’s sleep all round… if you’re lucky. Somerset’s family-friendly campsites offer all this and more. If your children love animals you might like to choose a site on a working farm or a smallholding where the chance to see or even feed the animals will be an added treat. There are woodland campsites where den-building is encouraged, meadow campsites that are perfect for a kick-about and sites where children’s activities are laid-on for younger campers. Somerset’s seaside resorts and stunning coastline are two of the reasons that this West Country destination has become a popular place for glamping and camping holidays in the UK. There’s traditional seaside fun in some of the bigger resorts like Weston-super-Mare and Minehead where you can pick up a bucket and spade and tuck in to fish and chips. You might even find a donkey ride to keep the kids amused. The smaller, but no less fun-filled, resorts of Brean and Burnham also serve up seaside fun in all its kiss-me-quick glory. 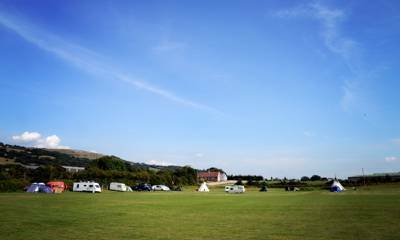 But away from these busy hot spots is where you’ll find some of our favourite campsites near the beach in Somerset. There are plenty of quiet coves and traditional harbour towns if you know where to look. On the north-east edge of the county you’ll find fishing towns like Portishead but head west for the wilder beauty. Exmoor National Park extends to the coast and it’s here that you’ll find quieter spots on the seaside. If you’re camping near the coast in Somerset, but hankering for a sea view, head for the South West Coast Path for a day out. This long-distance footpath starts in Somerset and offers walking with stunning cliff-top views. With just 40 miles of coastline, the seaside is only a small part of Somerset’s attraction. The vast expanse of countryside that covers most of the inland area is the other big draw and holidays where you can enjoy a taste of life in the country or down on the farm have been popular for generations. It goes without saying that we think camping in the Somerset countryside is the best way to holiday here! But it’s a big old county, so where among all this rural beauty will you decide to pitch your tent? There’s a lot of choice. For starters, there’s the massive expanse of low-lying fertile land that makes up The Somerset Levels and Moors. This area, long-ago reclaimed from the sea, does a good line in farm camping – places where you can pitch your tent on a working farm with a chance to meet the animals and try the local produce. These wetlands are also a unique place for wildlife and any high spots on the land, like Glastonbury Tor, are worth visiting for the views alone. The Somerset Levels and Moors are bordered by hills – the Mendip, Blackdown and Quantock Hills to be precise, all Areas of Outstanding Natural Beauty. Head for the Mendips if you want a campsite near Cheddar Gorge or Wookey Hole, two of Somerset’s biggest tourist attractions. And away from the most famous subterranean sites, you can have a go at caving. The beauty of this area of limestone ridges is not all underground though and The Mendips are also a great place for walking and other outdoor activities among dry valleys, gorges and wildflower meadows. 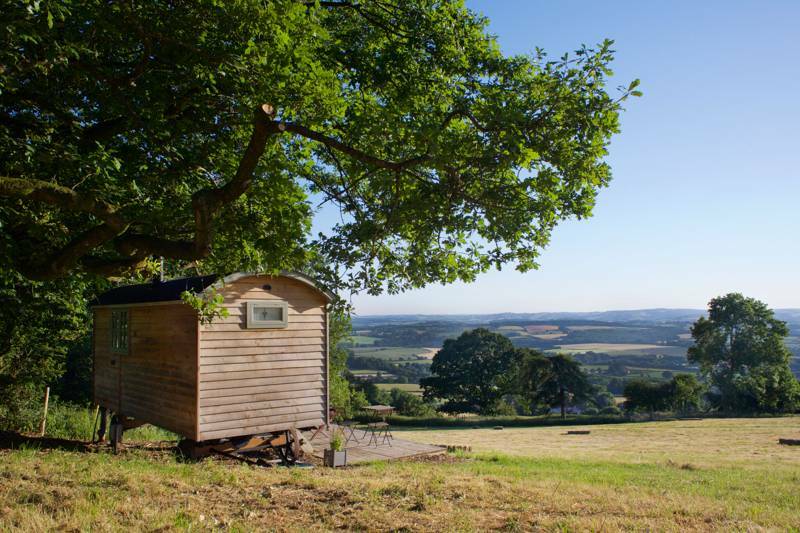 The Blackdown Hills, to the south, are a more gentle landscape of rolling hills, hedgerows and quiet bridleways with copses of trees and plenty of campsites to help make the most of it all. The Quantock Hills Hills was Britain’s first designated Area of Outstanding Natural Beauty (decided way back in 1956). This area stretches to the Bristol Channel and is characterised by deep wooded valleys and the heather moorland which you expect from Exmoor, the National Park which neighbours the hills. Though many people associate Exmoor more closely with Devon, the majority of the park actually falls within the county of Somerset. It’s a beautiful place to discover and can feel like another world with rivers, waterfalls and woodland as well as a breath-taking coastline and wildlife including free-roaming wild ponies and majestic red deer. A glamping or camping holiday in Somerset offers endless opportunities to get out and explore. There’s plenty of information on the Visit Somerset site if you need some extra inspiration but here’s our round-up of the best things to see and do in Somerset to get you started. Perhaps the most famous part of the gorge is Gough’s Cave which offers a chance to discover a fascinating subterranean world, but there’s actually as much, if not more, over ground as there is underground at Cheddar Gorge. Towering limestone cliffs and wildflower meadows make this special landscape well worth exploring. There’s no better place to try what must surely be Somerset’s most-famous export: Cheddar cheese! The Cheddar Gorge Cheese Company has a little visitor centre where you can watch the cheese-making process taking place and tuck in to the most beloved of British cheeses. This famous cave system includes an underground cavern and lakes. After exploring underground and learning about the famous Wookey Hole Witch, there’s more fun to be had as access to a range of family-friendly attractions is included in the ticket price which makes it good value if you’ve got kids. With 267 square miles of protected land, Exmoor offers lots of opportunity for exploration. You can walk across the heather moorland, follow streams through deep wooded valleys and enjoy the wildest parts of Somerset’s coast as well as exploring the villages and towns that cluster along it. This long-distance coastal footpath is not a bad way of seeing the coastline both in and outside of the national park. With a starting point in Somerset’s Minehead, the 630-mile path traces the coast of the south west right around to Dorset’s south coast. Minehead, Weston-super-Mare or Burnham offer the chance for traditional seaside fun with arcades, funfairs and fish and chips but there are plenty of quieter beaches and coves too for a spot of swimming, sandcastle building and skimming stones. Said to have been a place of special spiritual significance for a thousand years, this prominent hill offers great views over the Glastonbury festival site, Glastonbury and much of the rest of the county. While in the area, you might also like to visit Glastonbury Abbey. Somerset is famous for its apples and the cider that comes from them so no visit to the county would be complete without a glass of apple juice of cider fresh from the farm. 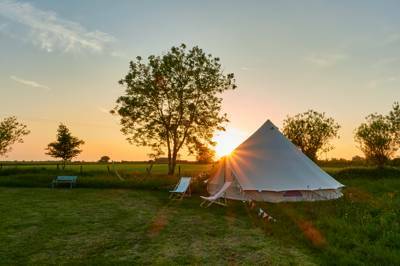 Somerset, somerset, campsites in somerset, camping in somerset, somerset camping, somerset campsites at Campsites in Somerset, Whether it’s pitching a tent, parking a campervan or even luxury glamping, you’ll find the best Somerset campsites here, all handpicked by the expert Cool Camping team. Including rural campsites, dog-friendly campsites, woodland campsites and tent-only campsites, this Somerset camping collection offers the perfect inspiration for your next adventure.